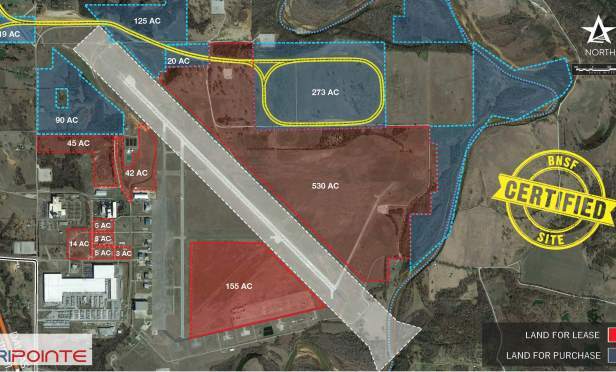 Ameripointe is a 1,350-acre industrial development site located in a foreign trade zone and enterprise zone, and features 527 acres of land for sale, 804 acres available for lease and 19 acres of buffer. Ameripointe’s central location makes it an ideal distribution hub for goods moving across the country. ARDMORE, OK—Ameripointe is a 1,350-acre industrial development site that is located in a foreign trade zone and enterprise zone. The shovel-ready site features 527 acres of land for sale, 804 acres available for lease and approximately 19 acres that can be used for buffer or parking to meet the needs of a wide range of industrial buyers and tenants.